Earlier this year, a group of Boston teens seeking funding for creation of a recreation center in Boston’s Jackson Square neighborhood discovered a state law that requires the owners of the TD Garden, which is home to the Boston Bruins and the Boston Celtics, to raise money for recreational facilities operated by the Massachusetts Department of Conservation and Recreation (“DCR”). 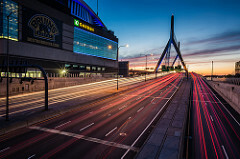 The teens, participants in the Hyde Square Task Force’s Youth Leaders program, determined that the TD Garden had not complied with the law since it was passed in 1993. The teens estimate that the TD Garden owes at least $13.8 million for failure to comply with the law. However, unbeknownst to the teens, the TD Garden and DCR had been negotiating and ultimately announced a deal that would require the TD Garden to pay only $1.65 million. Excluded from negotiations between the TD Garden and DCR and frustrated by the terms of the proposed settlement, the teens continued their efforts to raise awareness of TD Garden’s obligations and began to explore their legal options. They welcomed an offer of pro bono legal assistance from the Lawyers’ Committee for Civil Rights and Economic Justice, an organization with which A&K has a long-standing relationship. At the Lawyers’ Committee’s request, A&K became involved and together the teens, the Hyde Square Task Force, the Lawyers’ Committee and A&K have been pursuing a fair outcome that increases funding for an important local recreation center, benefits the Commonwealth as contemplated by the 1993 law, and ensures future accountability for TD Garden. A&K is grateful for the opportunity to support these talented and determined teens who are advocating for themselves, their local community, and the entire State.